Volver with Penélope Cruz and Carmen Maura. Pedro Almodóvar mother-daughters comedy-drama Volver – literally, “To Return” – marks the filmmaker's Goya Awards comeback, topping five categories, including Best Picture and Best Director. Almodóvar had been at odds with the Spanish Academy after two of his most internationally acclaimed films – Best Original Screenplay Oscar winner Talk to Her (2002) and the New York Film Critics' Best Foreign Language Film Bad Education (2004) – failed to make much of a splash at the Goya ceremonies. Almodóvar was so irate that after the Bad Education “snub” he and brother Agustín actually resigned from the Academy. Although the Spanish Academy of Cinematographic Arts and Sciences' Best Picture Premio Goya winner Volver may have seemed like an obvious choice for some, screenwriter-director Pedro Almodóvar's female-centered comedy-drama actually faced stiff competition from both Agustín Díaz-Yanes' period adventure Captain Alatriste / Alatriste and Guillermo del Toro's Spanish-Mexican dark fantasy Pan's Labyrinth / El laberinto del fauno. Ultimately, Volver, about the relationship between two disparate sisters (Penélope Cruz and Lola Dueñas) and the return of their long-thought-dead mother (Almodóvar veteran Carmen Maura), topped five Goya categories: Best Film, Best Director, Best Actress (Penélope Cruz), Best Supporting Actress (Carmen Maura), and Best Original Score (Alberto Iglesias). Almodóvar, however, failed to win Best Original Screenplay; the winner in that category turned out to be Guillermo del Toro. Pan's Labyrinth, in fact, was this year's no. 1 Goya pick: eight trophies in all, including Best Cinematography (Guillermo Navarro), Best Editing (Bernat Villaplana), and Best New Actress for Ivana Baquero, the young girl who becomes acquainted with a mysterious underworld inhabited by fantastic creatures in post-Civil War Spain. Local box office sensation Captain Alatriste, starring American actor Viggo Mortensen as the titular Spanish soldier/mercenary, finished the evening with only three awards: Best Art Direction, Best Costume Design, and – an unusual category – Best Line Producer. The Goya Awards' Best Actor was veteran Juan Diego for Víctor García León's Go Away from Me / Vete de mí, in which he plays a stage actor who suddenly finds his thirty-something son (Juan Diego Botto) at his doorstep. Late last year, Diego's Go Away from Me performance earned him the Best Actor award at the San Sebastian Film Festival. Best Director winner Pedro Almodóvar was absent from the Goya Awards ceremony – according to himself, out of sheer exhaustion; according to rumors, out of sheer tension. He'd had problems with the Spanish Academy in the past – he felt they had been snubbing his work – to the point that he and his brother, producer Agustín Almodóvar, had withdrawn their membership. 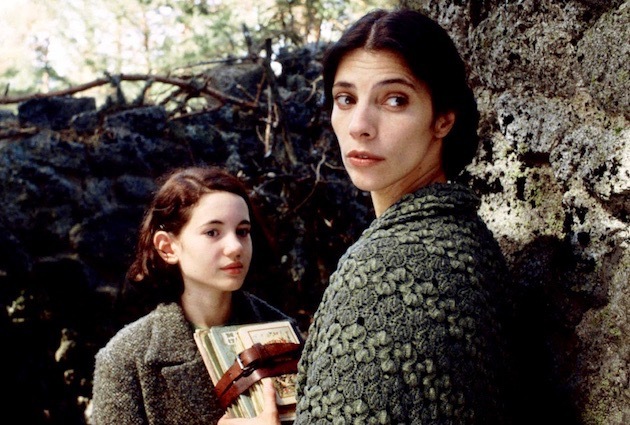 All About My Mother (1999) was a major Goya hit, winning seven awards, including Best Film and Best Director. In the 21st century, however, the internationally acclaimed Talk to Her (2002) won only one Goya (Best Original Score for Alberto Iglesias) while Bad Education (2004) failed to take home a single statuette out of its (only) four nods. Adding insult to injury, Goya competitor Pan's Labyrinth was shortlisted in no less than six Oscar categories, including Best Foreign Language Film (representing Mexico), Best Original Screenplay, and Best Cinematography. Volver, for its part, managed only a Best Actress nod for Penélope Cruz. At least with the Spanish Academy voters, Almodóvar indeed was. Volver was the Cinema Writers' no. 1 choice, topping a total of six categories: Best Film, Best Director, Best Original Screenplay, Best Actress (Penélope Cruz), Best Supporting Actress (Carmen Maura), and Best Score (Alberto Iglesias). Pan's Labyrinth won two: Best Cinematography and Best Editing. Nominated in three categories, Captain Alatriste failed to win a single award. Paul Haggis' 2006 Best Picture Oscar winner Crash as Best Foreign Film. Best Actor Carmelo Gómez for Jorge Sánchez-Cabezudo's crime drama The Night of the Sunflowers / La noche de los girasoles. Veteran Fernando Fernán Gómez (Mama Turns 100, The Grandfather), named Best Supporting Actor for Gustavo Ron's comedy-drama Mia Sarah. Pan's Labyrinth with Maribel Verdú and Ivana Baquero. Even though Pedro Almodóvar's Volver won most of the top awards at the 2007 Goyas, Pan's Labyrinth / El laberinto del fauno took home the largest number of statuettes: eight in all. In Guillermo del Toro's post-Spanish-Civil-War-set mix of bloody politics and dark fantasy, Best New Actress Ivana Baquero plays a young girl who discovers a magical underground world inhabited by fairies, frogs, fauns, and the creepy Pale Man, while Best Actress Goya nominee Maribel Verdú is a member of the anti-fascist Resistance. Pan's Labyrinth / El Laberinto del fauno. The Night of the Sunflowers / La noche de los girasoles. Crossing Borders / Un franco 14 pesetas. The Queen (U.K. / France / Italy). Copying Beethoven (U.S. / Germany). Guillermo del Toro, Pan's Labyrinth. Jorge Sánchez-Cabezudo, The Night of the Sunflowers. Marta Etura, Dark Blue Almost Black / AzulOscuroCasiNegro. Juan Diego, Go Away from Me / Vete de mí. * Carmelo Gómez, The Night of the Sunflowers. Cuca Escribano, Summer Rain / El camino de los ingleses. * Fernando Fernán Gómez, Mia Sarah. Celso Bugallo, The Night of the Sunflowers. Eduard Fernández, Captain Alatriste / Alatriste. Agustín Díaz Yanes, Captain Alatriste. * Lluís Arcarazo, Salvador (Puig Antich). Augusto Cabada, Luis Llosa & Zachary Sklar, La fiesta del chivo. * Guillermo Navarro, Pan's Labyrinth. Ángel Iguácel, The Night of the Sunflowers. * Bernat Vilaplana, Pan's Labyrinth. Pedro Ribeiro, The Night of the Sunflowers. Aixalà & Santy Borricón, Salvador (Puig Antich). Lluís Llach, Salvador (Puig Antich). Director Gustavo Ron, Mia Sarah. Actress Ivana Baquero, Pan's Labyrinth. Actress Verónica Echegui, My Name Is Juani / Yo soy la Juani. * Director Jorge Sánchez-Cabezudo, The Night of the Sunflowers. Journalism Award: José María Aresté for his book Escritores de cine. Solidarity Medal: Sud express, dir. : Chema de la Peña & Gabriel Velázquez. Bon Cop Bad Cop with Patrick Huard and Colm Feore. In Érik Canuel's Canadian blockbuster and multiple Prix Jutra nominee Bon Cop Bad Cop, two police officers – Ontario's anglophone Colm Feore and Quebec's francophone Patrick Huard – are thrown together by a merciless twist of fate: a body dangling from the sign marking the border between the two Canadian provinces. Complicating matters, the duo not only come from different linguistic and cultural backgrounds, but they also have little in common in terms of either ethics in policing or tastes in clothing. Can such disparate characters work together so as to capture the – as it turns out – mad serial killer on the loose? Érik Canuel's Bon Cop Bad Cop, an odd couple/buddy comedy that became the top-grossing (if inflation is ignored) homegrown film ever in Canada, with about Can$13 million, most of it generated in Quebec itself. Robert Favreau's A Sunday in Kigali / Un dimanche à Kigali, the story of a journalist/filmmaker (Luc Picard) in search of his lover (Fatou N'Diaye) in post-genocide Rwanda. Both films are also well represented at this year's Genie Awards. Philippe Falardeau's Congorama, a dramatic comedy about a Belgian man (Olivier Gourmet) who travels to Quebec in search of his biological family. Stéphane Lapointe's The Secret Life of Happy People / La Vie secrète des gens heureux, centered on a highly dysfunctional, suburban Montreal family. Lapointe, however, failed to nab a matching Best Director nod. In his place is Claude Gagnon, whose Kamataki follows a suicidal young Canadian man (Matthew Smiley) who slowly learns to appreciate life after spending time with his unconventional uncle (Tatsuya Fuji) in rural Japan. The Jutra Awards' Best Actor shortlist is off-kilter this year, with two nominations going for “couples” instead of individual actors: Bon Cop Bad Cop's bon cop and bad cop – Colm Feore and Patrick Huard – were nominated as one, and so were Olivier Gourmet and his Congorama co-star, Paul Ahmarani. According to Prix Jutra general manager Henry Welsh, the producers of the two films wanted their leading men on a single ballot to avoid having them compete against each other. Why that was allowed is another matter, considering that it places at a disadvantage the “single” performers – Luc Picard for A Sunday in Kigali and Marc Béland for The Little Revenge Guide / Guide de la petite vengeance. Also worth noting, two of this year's acting nominees were also shortlisted last year: Luc Picard, who was in the running for L'Audition, and 2006 Best Supporting Actress winner Danielle Proulx (C.R.A.Z.Y. ), who's back again this year, this time in the Best Actress category for Family Story / Histoire de famille. The Prix Jutra is named after Quebecois filmmaker Claude Jutra, who, while suffering from Alzheimer's, killed himself at age 56 in 1986. Vitus with Bruno Ganz. Fredi M. Murer's feel-good drama Vitus stars child pianist Teo Gheorghiu as the title character, a piano-playing (and stock market-betting) 12-year-old prodigy who yearns for a “normal life” despite his parents (Julika Jenkins, Urs Jucker) insisting that he pursue a career as a classical pianist. Vitus finds refuge with his grandfather (veteran Bruno Ganz), who, with his grandson's financial assistance, buys himself an airplane. This Disneyesque-sounding tale is the Swiss Film Awards' top homegrown release of 2006 and one of the semifinalists for the Best Foreign Language Film Oscar. Fredi M. Murer's Vitus, one of the semifinalists for this year's Best Foreign Language Film Oscar, was named Best Swiss Film at the 42nd Solothurn Film Festival. The story of a reluctant piano prodigy (Teo Gheorghiu) and his grandfather (Wings of Desire and Downfall veteran Bruno Ganz), Vitus has sold nearly 200,000 tickets since its release in German-speaking Switzerland last year. The Swiss Film Awards' Best Documentary was Heidi Specogna's The Short Life of José Antonio Gutierrez / Das kurze Leben des José Antonio Gutierrez, about a Guatemalan street kid who, after emigrating to the United States, joined the U.S. marine corps hoping to gain American citizenship. Instead, he ended up as the first dead U.S. soldier in the Iraq War. The Swiss Film Awards' Best Film and Best Documentary trophies are each worth SFr60,000 (approximately US$48,000). Screenwriter-director Andrea Štaka received the very first Best Screenplay Swiss Film Award for Das Fräulein, the story of a Serbian immigrant (Marija Skaricic) who befriends another Balkan immigrant (Grbavica star Mirjana Karanovic) living in Zurich. Das Fräulein had previously won the Golden Leopard at the Locarno Film Festival and the Heart of Sarajevo at the Sarajevo Film Festival. Jean-Luc Bideau was chosen Best Performer in a Leading Role for his work in Jean-Stéphane Bron's comedy My Brother Is Getting Married / Mon frère se marie, about a dysfunctional family's attempts to appear functional during a wedding ceremony. Natacha Koutchoumov was the Best Supporting Performer for Denis Rabaglia's comedy Do Not Panic / Pas de panique. The most successful homegrown 2006 Swiss releases were Michael Steiner's Grounding - The Last Days of Swissair / Grounding - Die letzten Tage der Swissair and Bettina Oberli's Late Bloomers / Die Herbstzeitlosen, each with 400,000 admissions sold. Grounding - The Last Days of Swissair shows how the demise of Swissair in 2001 affected the people of Switzerland, while the more upbeat Late Bloomers revolves around four elderly women (Stephanie Glaser, Heidi Maria Glössner, Monica Gubser, and Annemarie Düringer) who scandalize their little town when they decide to turn a local shop into a chic lingerie store. For comparison's sake, the most successful Swiss film ever at the domestic box office is Rolf Lyssy's The Swissmakers / Die Schweizermacher, which sold nearly one million admissions back in 1978. In the cast of this comedy about the difficulties foreigners must face while applying for Swiss citizenship: Emil Steinberger, Walo Lüönd, and Beatrice Kessler. In 2006, Swiss productions nabbed 10 percent of the local box office, up from 6 percent in 2005. U.S. productions dominated the market (60 percent of revenues), followed by French (8.7 percent), British (8.3 percent), and German films (6 percent). Pedro Almodóvar quote via Estrella Digital. Agustín Almodóvar quote via El Heraldo. Henry Welsh quote via Canada.com. Source for Swiss box office figures: Swissinfo.com. Penélope Cruz and Carmen Maura Volver image: Sony Pictures Classics. Maribel Verdú and Ivana Baquero Pan's Labyrinth image: Warner Bros.
Patrick Huard and Colm Feore Bon Cop Bad Cop image: Alliance Films. 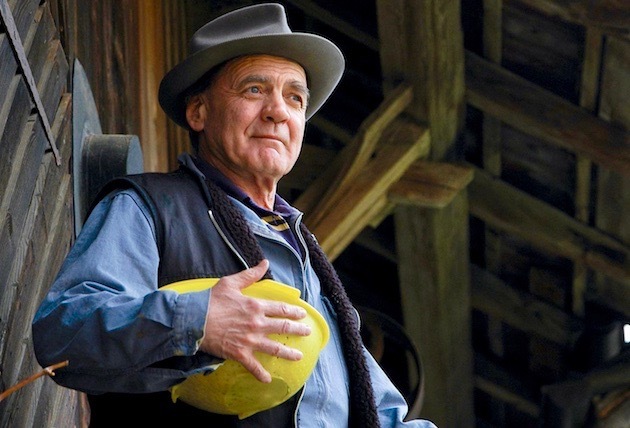 Bruno Ganz Vitus image: Sony Pictures Classics. “Pedro Almodóvar vs. Guillermo del Toro: Volver Marks Filmmaker's Goya Awards Comeback” last updated in September 2018.